Remember their hair blowing as they leaned into the wind to sing? Yes, it was The Beatles’ last live concert, on the roof of the Apple building in London. On January 30 1969, John, Paul, George and Ringo performed together for the last time – marking their imminent break-up in an audacious, unannounced and wholly original way. They planned a secret concert at an unusual venue: on the small, cramped open roof space of their record company Apple, four floors up from London’s fashionable Savile Row. On this bleak, wintry day, they performed five new songs (Get Back, Don’t Let Me Down, Dig a Pony, One After 909 and I’ve Got a Feeling) that would feature in their forthcoming (and last) film, Let It Be. The event would be witnessed by only a handful of people: the small film crew, led by director Michael Lindsay-Hogg; a few senior Apple executives; and some friends and family, huddled together on a narrow bench. At the time of the rooftop concert, it was known within Apple that The Beatles would soon be going their own ways. There was speculation in the press that Yoko Ono was a factor in the split, but the truth was the group were tired of going out on tour, performing for fans who screamed so loudly that their music was inaudible. On the day of the concert, Ken dashed out of the office and bought himself a white trench coat to ward off the cold. He is still known to fans of the Let It Be film as the mysterious ‘man in the white coat’. ‘Once we got up to the roof,’ he recalls, ‘most of us felt it was a unique situation, a special time. We guessed something was happening. When it was over and we walked back down those stairs, nobody talked about it. We were absorbing it. But I think we all knew in our hearts it was some kind of ending. ‘Being on that roof was monumental. There was something about the sheer craziness of it. It was January – it was cold up there! It was a dirty old roof. The band were falling apart, yet they came together. American Chris O’Dell, still in her early twenties at the time, had met The Beatles’ press officer Derek Taylor in Los Angeles in 1968. He offered her a job with Apple in London as his personal assistant. She went on to become PA to Peter Asher, another Apple executive (as well as one half of Peter and Gordon, and brother to Paul’s then girlfriend, Jane Asher). Later she became assistant to George Harrison, who wrote the song Miss O’Dell for her; it was on the B-side of his solo hit Give Me Love (Give Me Peace on Earth). Chris knew something big was about to happen that day. She was well-liked and hard-working, though she clearly wasn’t ‘essential staff’ and there was no reason for her to join the select band who gained access to the Apple rooftop. But Tony Richmond, lead cameraman for the filming session, invited her to go up with him as his ‘assistant’. She took her place on the bench next to Tony’s camera, along from Ken, Yoko Ono and Ringo’s wife, Maureen. So it was that Chris O’Dell enjoyed a view of the proceedings that was denied to the vast majority of people in The Beatles’ entourage. This included hairdresser Leslie Cavendish, who befriended The Beatles – he first gave Paul McCartney a trim after Paul’s then girlfriend Jane Asher recommended him – and became the group’s official hairdresser in 1966. Like many others in The Beatles’ inner circle, Leslie was turned away at the foot of the spiral staircase leading to the roof by Mal Evans, the group’s roadie/bouncer/general assistant, who was 6ft 6ins tall, and an impossible man to get past. He told Leslie there was no space on the roof, as equipment was continually being carried up and down the narrow stairs. ‘I wondered,’ Leslie recalls, ‘what on earth was going on? And then after a while I heard singing from the roof above: “JoJo was a man who thought he was a loner…” I was suddenly hearing Paul singing Get Back. 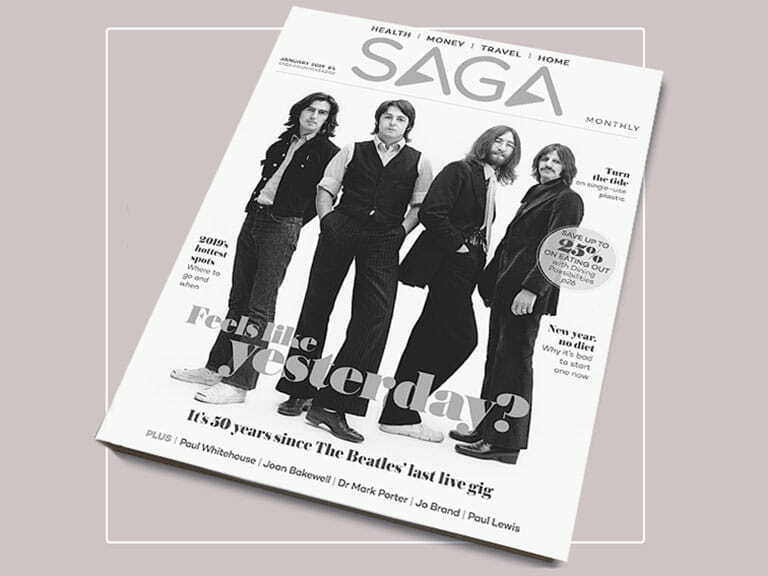 Saga Magazine reader David Stiff remembers the day clearly, though he got no closer to the concert than being in Savile Row with the gathering crowds. 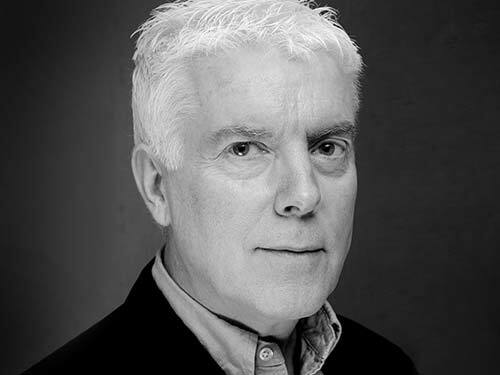 David Gritten has been a regular Saga Magazine contributor for more than 10 years.